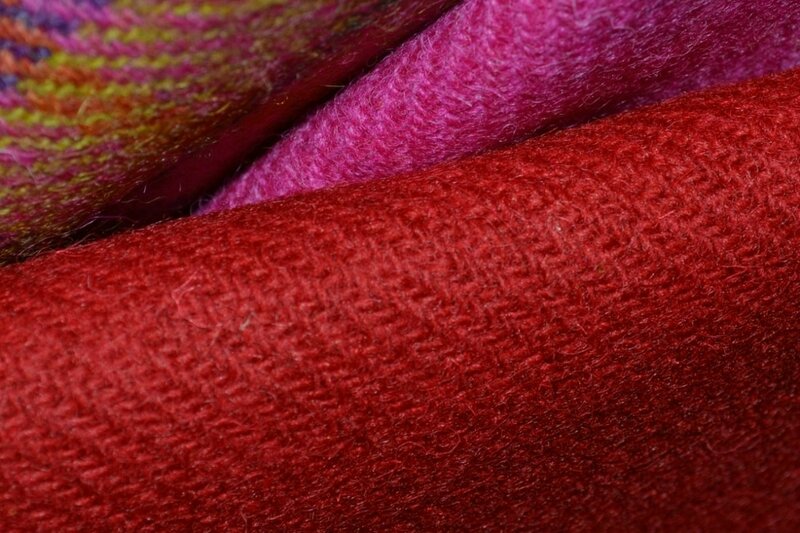 ​With a history spanning hundreds of years, from the early seventeenth century to present day, the story of Harris Tweed in the Outer Hebrides is one of romance, struggle and survival. 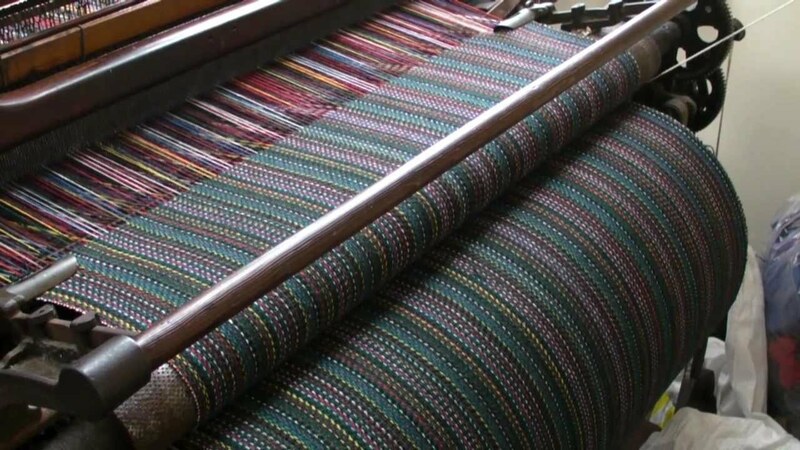 By the early 1800s, the commercial potential of this Scottish island fabric was recognised by Lady Catherine Herbert, widow of the 6th Earl of Dunmore, who made every effort to promote it to mainland markets. Genuine Harris Tweed from the Outer Hebrides is identified by the historic Orb mark; the guarantee of authenticity so be sure to check for this if you plan to buy Harris Tweed products. Woven by Western Isles weavers in their own homes, Harris Tweed is a truly magical and personalised cloth, set far apart from the mass produced products of today’s modern world. ​Yarn: A wide range of yarns are stock supported to ensure short lead times are achieved. Several tonnes of top dyed yarn are imported each month and package dyed yarn is delivered from our local spinners where as little as 3kgs can be dyed to match the shade required. Yarn is checked prior to approval for quality and continuity of shade. Finishing: We are joint owners of Roberts Dyers and Finishers. In order to impart the required functional properties to the fabric, it is neccessary to subject the material to different types of physical and chemical treatments. For example: crease resist resin, Teflon ® coating, Nanosphere ® technology. Quality Control: Quality is checked through every part of the production process from the initial submission of yarn through to the finished fabric prior to dispatch. This includes checking continuity of shade, set size, usable width and pilling. Producing high quality fabric is our priority.